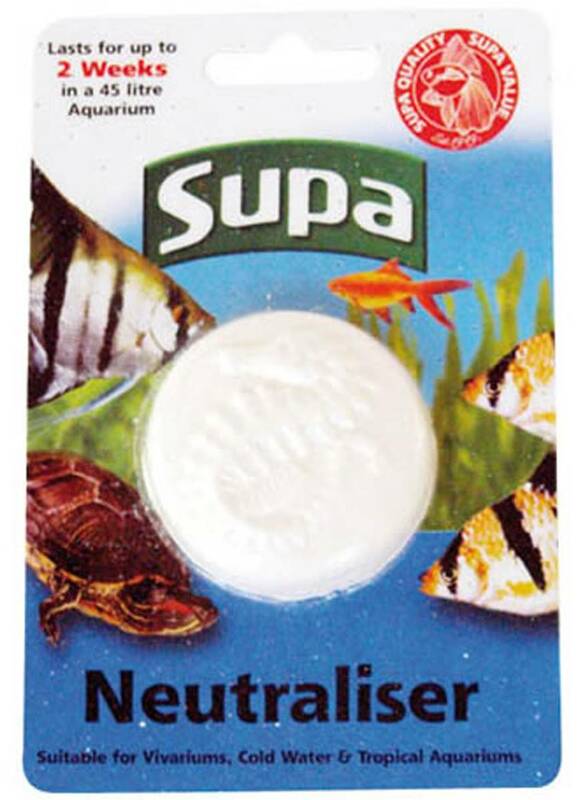 A slow release block designed to buffer/neutralise acid build up in aquarium water. A block placed in Terrariums produces a calcium rich environment for fish, turtles and terrapins. Lasts for up to 2 weeks in a 45 litre aquarium.